To understand Cerec crowns and their pros and cons, you need a little background in the construction of a crown. Usually a crown takes two visits: on the first visit, the tooth is prepared by being shaved down somewhat. An impression is taken of your teeth, and this impression is sent to a laboratory where your crown will be made. Meanwhile, you wear a temporary crown made with some type of plastic material. On your second appointment, the temporary is removed and the durable crown is placed on your tooth.The diagram above shows the concept of a dental crown. The tooth is reduced in size to allow for complete coverage by the ceramic crown material. The cut-away ceramic covers the entire tooth, all the way around, usually down to the gumline. A recent innovation available in the offices of some cosmetic dentists is the “Computer-assisted design-Computer-assisted manufacture” crown, or “CAD-CAM.” The company that is foremost in this technology is Cerec. This crown is milled by a computer to fit your tooth precisely, thus eliminating the laboratory step in manufacturing the crown. With Cerec’s CAD-CAM technology, the crown is made by a computer while you wait, thus eliminating the second appointment and the temporary crown. These Cerec crowns are milled out of pure ceramic. Cerec technology can also be used to manufacture porcelain fillings. There are some very skilled cosmetic dentists who are also able to create Cerec porcelain veneers. Doing these well requires an exceptional amount of skill. Remember that Cerec crowns are milled out of a single block of porcelain. This creates an esthetic problem because natural teeth have a gradation of color from the gumline to the biting edge. However, our latest technology allows us to create beautiful life-like porcelain restorations for front teeth with the Cerec system, with color gradations in the teeth and a beautiful polish. Cerec crowns are made in one visit, saving both the dentist and the patient time. With Cerec, there is no need for a temporary crown, which eliminates one of the potential discomforts for the patient. Cerec crowns have no metal in them, and thus are reasonably esthetic. Cerec material and technology can also be used for fillings. Since they are made out of porcelain, they are more durable than typical white composite fillings. 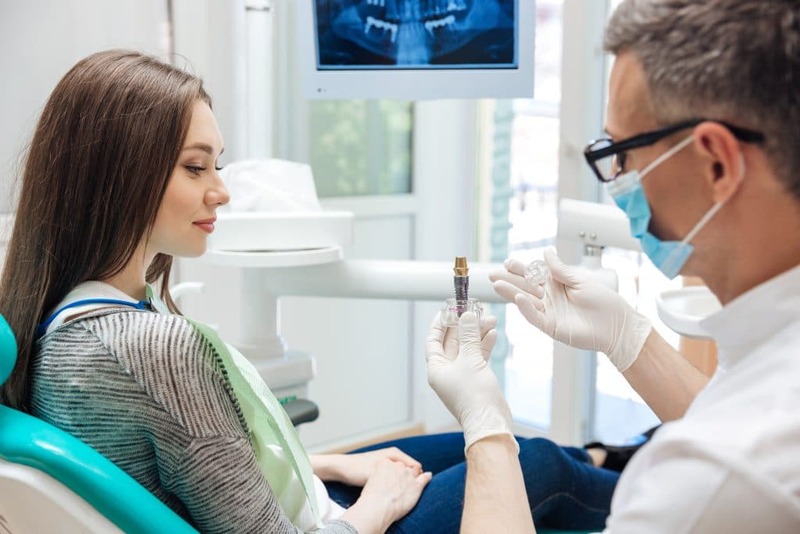 While the initial investment in Cerec technology is expensive, it can save money over the long run because there is no extra lab technician fee for the dentist, and only one appointment is required, not two. Since Cerec crowns are milled out of a single block of ceramic, it is difficult to incorporate into them the subtle color gradients of natural teeth. They look great on back teeth, but don’t have the esthetic quality of laboratory-made crowns for front teeth. There are a very few highly skilled cosmetic dentists that are able to create natural-looking dentistry for the front teeth with Cerec technology, and some companies are now making ceramic blocks with a color gradient, but the cosmetic dentist needs to be highly skilled and very talented to work with these to produce a natural-looking result.